Eli Ostreicher founded and runs several online companies within the luxury travel industry, employs over 100 people across several office in NYC & in Chennai, India. His company Regal Wings was #1 in Travel & Hospitality on the Inc. 500 list. 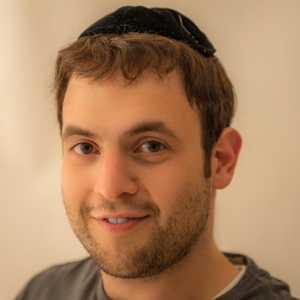 Eli also founded the world’s only dating site for orthodox Jewish marriage-minded singles Hareiat.com, which now boasts over 50,000 members. Barry Liben, CEO of Tzell Travel. Although a very old proverb with no official author, “Where there’s a will, there’s a way” has been and is my daily motto in business. When I went into business, people were saying that selling travel is a ‘gone industry’ because of the competing online giants. But will power, determination and ambition is proving them all wrong. We found a powerful niche in the industry and focus on luxury travel. Being adamant brought us to where we are today. We have high-profile clients including Berkshire Hathaway, the United Nations, Bayer and the Maroon 5 band. There is a very fine line between being a good boss and too good of a boss. In the first years of being in business, I was stuck with employees that were on payroll as charity – literally. They were the opposite of an asset to the company. They came every day because I was unable to let them go. I couldn’t face telling them they were fired. That was a hard lesson to learn. Nowadays, no new employee joins W-2 payroll or even gets an office keycard before a 60-90 day preliminary trial period. I live by to-do lists and my calendar. Having a clear understanding of the tasks ahead of me for the day is integral. Honestly, I am terrible at financials and I find that most young entrepreneurs are too. Being good at money management and being a business visionary usually don’t go hand-in-hand. My CFO signs the checks and makes budget decisions. You should find a person you trust to run the monies. He will tell you why a Superbowl commercial is a far-fetched dream. Never give up! Unless you are trying to become the next Messiah, nothing is too farfetched or beyond reach. Be focused, buckle up tight and you WILL get there. Thus my underlying goal in the companies I build is to systemize them to perfection. Think: conveyor belt!